As previously announced, Musik von Merkl now has 4 STOLL Guitars permanently on stock. In the classical field you find Primera and Estudio and in the steelstring area you can put PT59 and PT69 to the acid test. Claus Ulrich is your professional contact person, you may find contact data in our Dealer List or directly at Musik von Merkl. We are pleased to welcome Musik von Merkl as authorised dealer for the Hamburg area. The shop in the heart of Hamburg-Bergedorf, which has a nice guitar department, will by the end of August 2011 be enriched with four STOLL models. In the classical field one can test the Primera and Estudio, in the steelstring area the PT59 is already available to test and there will be added a PT69 also by the end of the month. Upon request, additional models are obtainable. We have just completed two wonderful Ambition Parlour Steelstrings. One has a body of Indian Silver Oak, the other one is of Spalted Mango. Both have an Alpine Spruce top. Indian Silver Oak has already proven as a premier body material for fingerpicking guitars and mango is qualitatifly equal, the sound is however of a different color. As always, sound is difficult to describe, we recommend trying out. Our cozy showroom offers (after telephone registration ) the best conditions for detailled testing without hustle and bustle. At the age of 12 Dominik Jung discovered the guitar as his ideal instrument. Motivated by music of Hannes Wader, Klaus Weiland and Werner Laemmerhirt he started his education on classic guitar. After school, he began studying classical guitar at the Musikhochschule in Cologne, during that time he received awards and prizes in international guitar competitions in Luxembourg, Weikersheim and Tokyo and almost forgot the music, which had brought him to the guitar ... After his exam in 2001 he returned to the beginnings. Finally he bought his first Steelstring, discovered musicians like Peter Finger and Laurence Juber and began to write his own music. In 2005, he published the Fingerstyle CD "simple gifts". Meanwhile, he plays both, classical and fingerstyle concerts, and feels home in concert halls as well as on cabarets. Beside several own compositions Alexander Holz and Oliver Kraus interpret latin and jazz standards of Chick Corea, Paquito de Rivera, Pat Metheny or Miles Davis on a 6-string acoustic bass and a classic guitar. Together they present a program full of tension, friendship, heights and depths, playing solos, grooving together, finding the apex. This year Just Friends are celebrating their 10th anniversary on stage. 10 February 2008 New feature on the Legendary Acoustic Bass Just in time for the Musikmesse 2008, we present another innovation with our Legendary Acoustic Bass. After improving the playability by the Constant String Spacing in the past year, we enlarged the fingerboard for greater comfort and playability and even more improved sound this year. Simultaneously with the fretboard the bridge was also increased. Together this leads to a modified string angle and thus to a much freer development of the overtones. We also present new products on the classical guitar sector, however we would like to keep the details until the beginning of the fair. Visitors find us, as usual in Hall 3.1, but this year in row A, booth 91. 13 February 2008 Germany in search of the supermodel In May 2008 Stoll Guitars will celebrate its 25th anniversary. A reason for celebration and a reason for us to thank our customers for the many years of loyalty with something special. We want to do this with a special steelstring model in a limited edition of 6 instruments. You decide the looks of the guitar. Whether wood selection, body shape, neck width or inlays and ornaments, your imagination knows no limits. 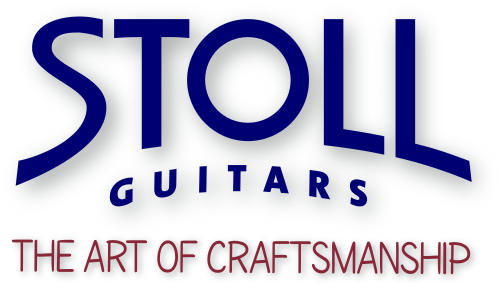 Tell us what kind of guitar you had always wanted to be built by Stoll. Under the slogan "Limited 2008" you can submit your proposals until March 15. Or simply come to our booth (3.1 A91) at the Musikmesse Frankfurt.  Among the respondents, we are giving away a guitar voucher to the value of 300 euros. In August, we will then present your favorite and announce the price for the "Stoll Limited 2008". 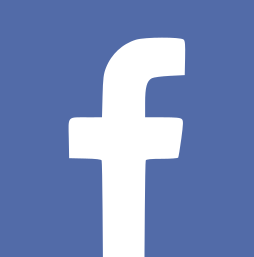 Previously, however, we will announce your decision here on our website and keep you up to date with a photo-documentary about the construction progress. 10 February 2008 New Design Since today we present our website in a shining new design. More beautiful more modern, more comfortable, that is at least our opinion. We hope thon you, just like us, enjoy our new appearance. In addition to the new design, we have also changed the site structure. Thus, for example, to present the instruments no more separate windows pop up, which makes the navigation much more user-friendly. Additional drop-down menus in the guitars area allow for faster navigation as well. Furthermore, for each instrument we now offer a download of the product description in PDF format. We also have arranged the accessories area more clearly. The user interface has been improved and we added photo material. Last not least, Stoll Guitars now presents itself bilingual (german/english). The language switch at the end of the main menu may be used comfortably on any page. For feedback whether it is praise, criticism or just a comment, we have an open ear. Also if we still have overlooked a mistake, we are grateful for a hint.